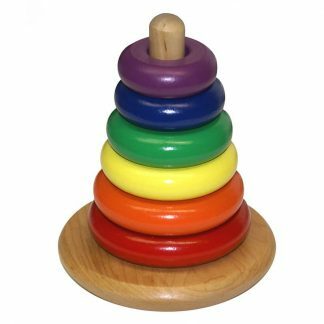 Mat grasps and holds the 30 stackable pegs in Rainbow Pegs Play Set in place, an advantage to beginning stackers and those with visual impairments. 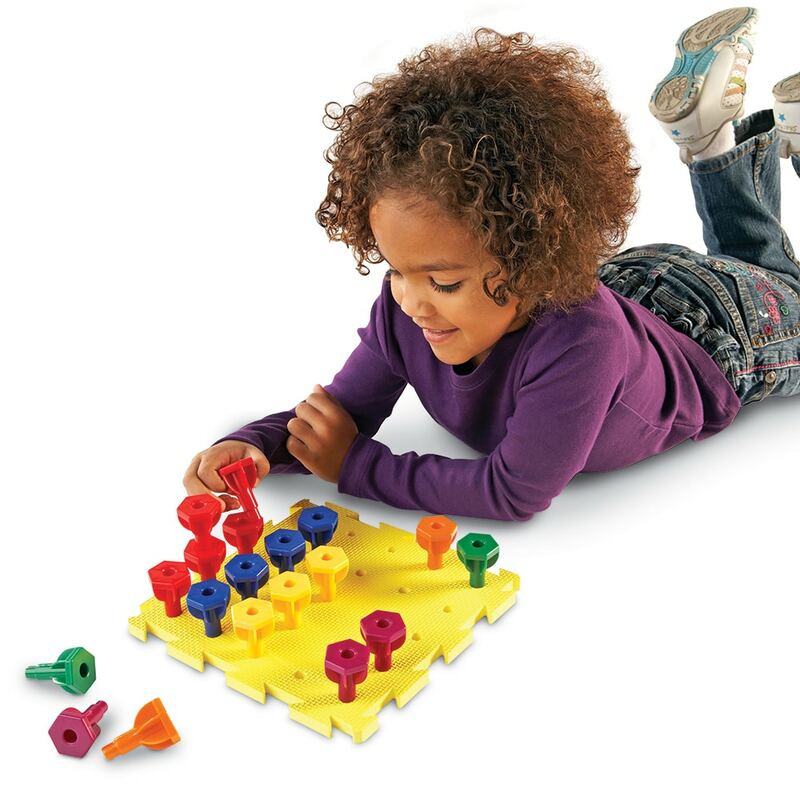 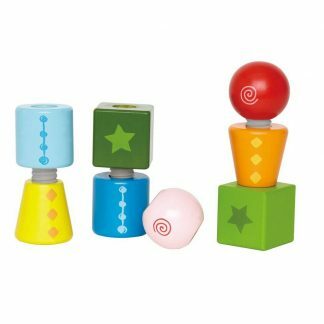 Develop or refine eye-hand coordination and hone a mature hand grasp with oversize, hexagon-shaped pegs designed for stacking and threading. 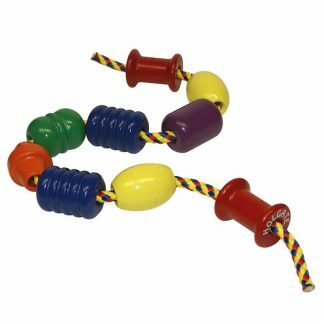 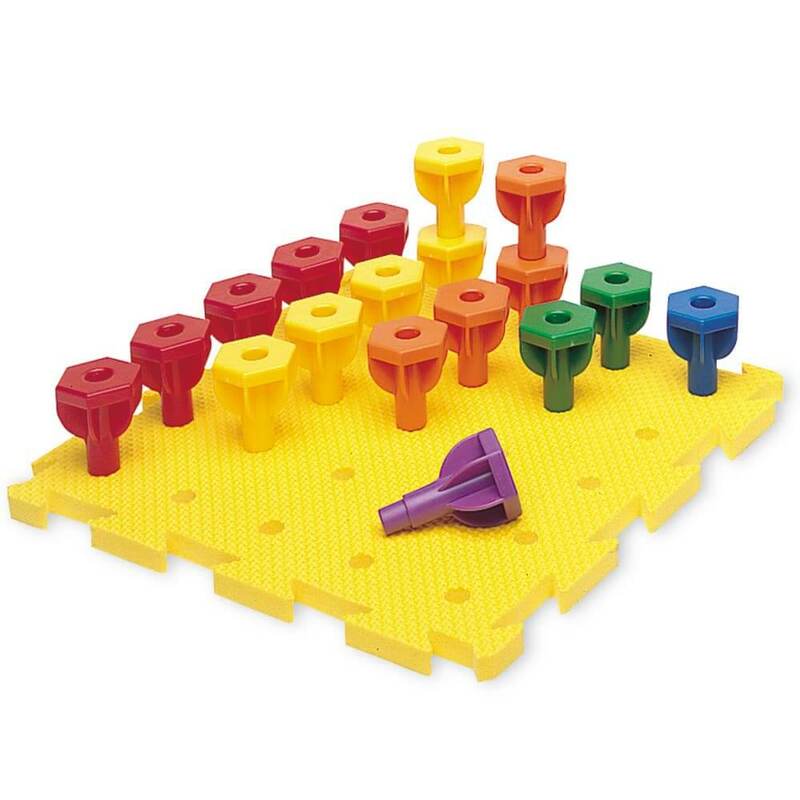 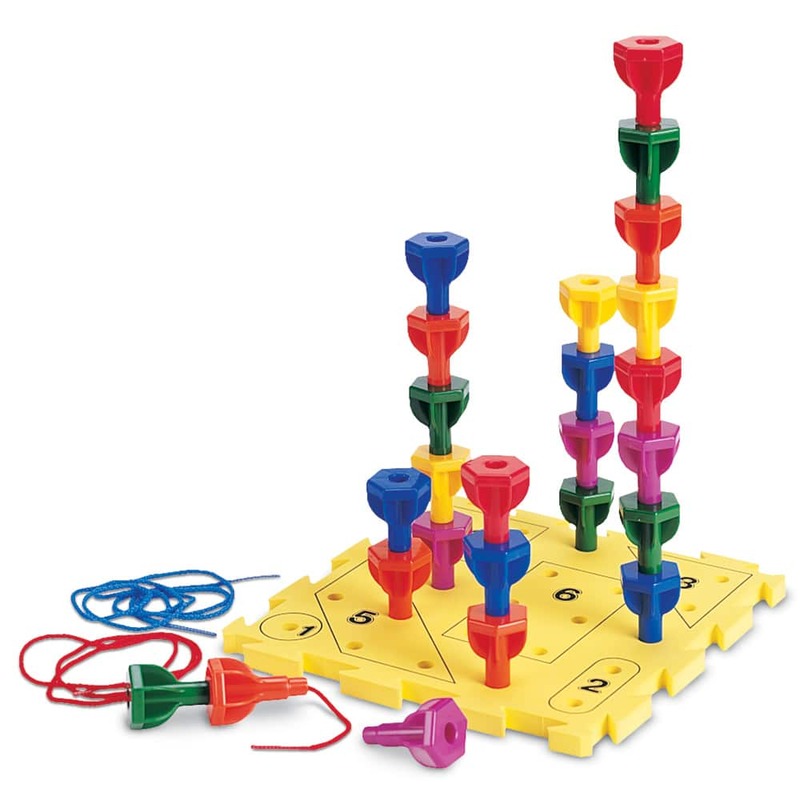 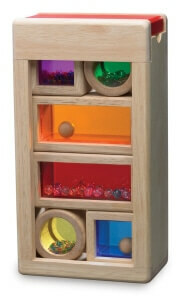 Set includes 30 stackable Rainbow Pegs in six colors, a double-sided tactile mat, two 36″ laces and an activity guide. 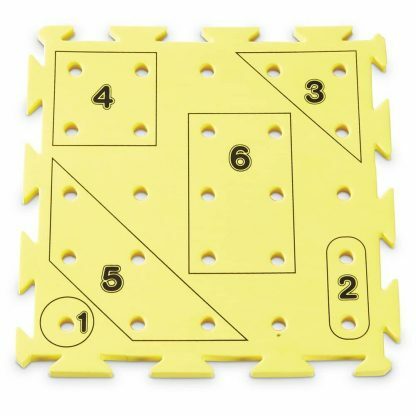 One side of the reversible mat is printed for shape and number learning and provides an ideal introduction to tangible math skills. 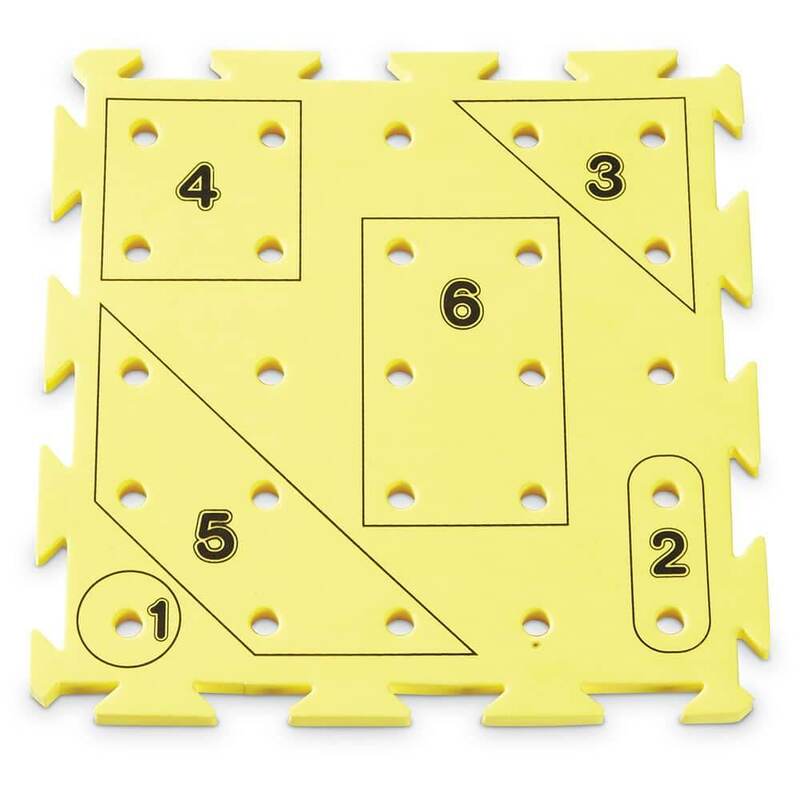 Mat measures 8 3/4″ square.